This list will be very useful for bloggers,web designers and graphic designers to promote their articles and their services. The usage license is described for some icon packs here.If you need more information about the icons usage you can get from their source page. To promote your blog or articles in social media world you need a creative and unique icons and i am sure you will find your most favorite and suitable icons here to include them in your blog or website. A clean set of icons from chethstudios.Re-distribution not allowed! White Magik is perfect for white minimalistic sites and can be used with image hover for excellent looks!. It includes 45 icons in .PNG format. Just another contribution from chethstudios. An elegant design icons. Well you’re free to use in your blog. But Please DON’T re-distribute. This 3D Social Media Icon Pack comes with 20 icons which include your favorite social media websites such as Digg, StumbleUpon, Twitter and lot more from dawghouse design studio.Get the license details of usage from source. The set comes with 23 icons of your favorite social media sites, all in 200 x 200px and in transparent PNG formats. These icons would surely be a perfect fit for your vintage or grunge themed web designs! Pretty nice icons. It’s a sticker type social icons.Available in .PNG, EPS and Ai format. Free for any use. Consists of 16 popular social media icons, available in both vector and PNG (64×64 pixels) format. Free for any use. Clear design icons.This work is licensed under a Creative Commons Attribution 3.0 License. Designed as a circular style. Available in 3 sizes (128*128, 64*64, 32*32).Please feel free to use Social Media Icons Pack on both personal and commercial projects. These icons are designed by Eli a south Australia web designer. They provided these icons in two parts. This set contains 26 icons of your most favorite social media sites such as Digg, Delicious, StumbleUpon, Twitter, Facebook and lot more! 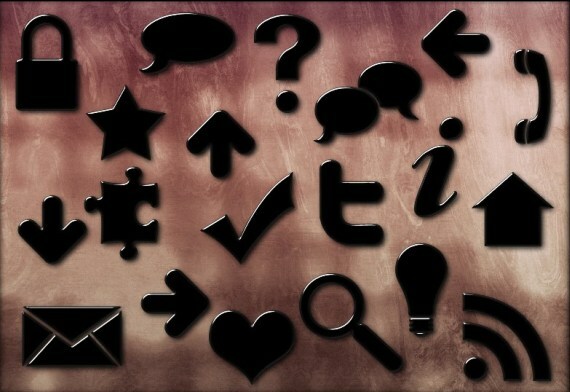 These icons would be perfect for websites or blogs that uses textures or a grungy theme. Wood theme icons from webtoolkit4.me .The set consists of 11 icons in PNG format (64 x 64). It’s free for both personal and commercial projects. A brand new set that consists of 20 3D icons in PNG format (64×64 & 128×128pixels). It’s really an awesome icons. Very cool and creative set of drawn, sketched social icons! Have fun with this one! Hope you enjoy them. The Worn-Out Soda Cans Social Media Icon Pack is free to use for both your personal and commercial projects.The icon pack once again features icons of our favorite social media sites in 200×200, transparent PNG formats. Creative Commons Attribution-Share Alike 3.0 License. Designed by plechi. Great work and unique idea the designer.Free for personal and commercial use.the credit goes to nishad. 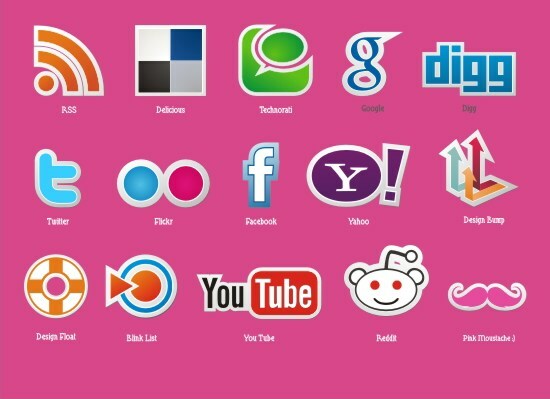 This free set includes 50 icons of the most popular social media networks on the internet. The icons are designed in 32px and 16px vector format. With the vector format. Now this icon pack is updated recently.This icon set is released under is licensed under Creative Commons Attribution-Share Alike 3.0 Unported License. This minimum social media icon set.includes deviantart, delicious, flickr, Gmail, twitter.This work is licensed under a Creative Commons Attribution-Share Alike 3.0 License. This Icon Pack is chuck full of 20 Grunge Peeling Social Media Stickers, This Free Icon Pack is for use in your personal and commercial projects, and can be used without attribution. It may not be redistributed. Smooth edge icons and a classy look.It’s a freebie from Iconshock. 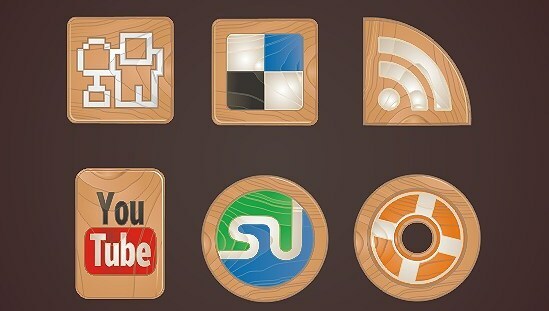 The icon pack contains web and social media icons such as StumbleUpon, Digg, Twitter and several others!.This icon pack is free to use for both your personal and commercial projects but may not be sold or redistributed in any way. A full set of icons ready for use with mac and pc. Attached with PSD. Helvetica social Icons that are 99% made with the type tool in Photoshop. Everything is made with the type tool in Photoshop and variations of the Helvetica font.There aren’t really any typographical icons around the web like this icons.Free to download and use. There are 20 social web buttons in two sizes and two colors. Download is free. The icon set consists of 20 very unique and never before created bottle crown icons such as Digg, Stumble Upon, Twitter, Delicious, Technorati and a whole lot more.These icons are free to use for both your personal and commercial projects but may not be redistributed or sold in any way. Free for personal and commercial use.Cute design. This icon pack contains 14 icons, including popular social bookmarking services and our favourite browser Firefox etc… The icons are available in PNG, ICO and ICNS format. 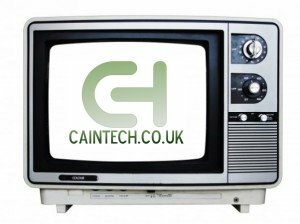 They are free to use for both personal and commercial projects, including websites, templates & software. You are not allowed to sell or redistribute the icons anywhere else. In this below lists you are going to view a massive contribution of webtreats.mysitemyway.com in social media icons.They have done a great work in social media icons! and these are high quality designs. 108 free high-resolution Glowing Neon Social Networking Icons. 2,000 more icons of this style will soon be released on ETC format. It’s an updated set of icons including Drupal,Deviant art icons etc… They are free to download and use. 154 icons available. 2000 more icons are available in this style in webtreats. Wonderful orange social media icons in grunge style with some pop out effect. No attribution necessary for these icon packs.Splatter effect in social media icons it’s a creative and unique concept from the designers. 20 web icons in .png format made with these styles, and a layered psd of the image below, which has editable text should you want to use this as a text effect. This matching set is designed to be put in the sidebar of your theme so you can link to your social media profiles.There are 10 more color variations for icon set is available. A classy look and these icons meet international standars.Retro Grunge Stripes Social Media Icons. A creative look for social media icons by this way.It’s suitable anything like grunge or crumpled themes. Just another beautiful glassy style icons. Free set of unique twitter graphics.There really is no limit to what you can do with this brilliant set, lovingly designed by Pasquale D’Silva.The set includes 40 Files in total, all in transparent .png format. Really a cute twitter icon for your blogs or websites.Also only noncommercial use is allowed. This breaks down to roughly 1,800 icons added to each existing set and 20 brand new sets! 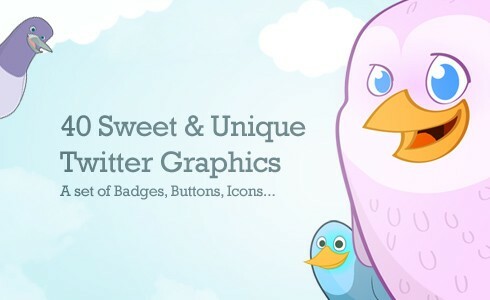 Here’s a little twitter promo pack with 53 twitter icons, one from each set!. 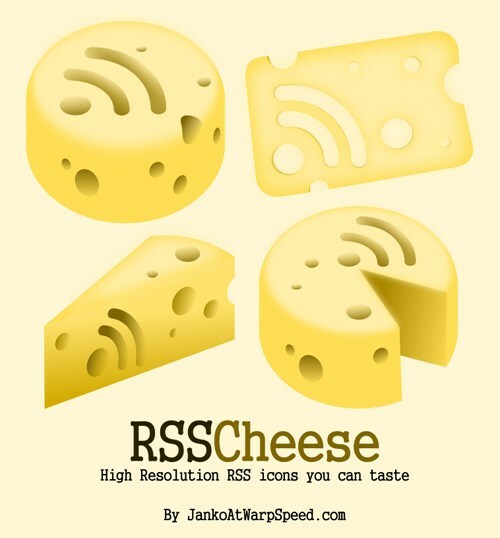 The set contains 4 high resolution RSS icons that come in four sizes: 512×512, 256×256, 128×128 and 64×64. Icons are completely free and can be used without any restrictions in any type of project including commercial projects. 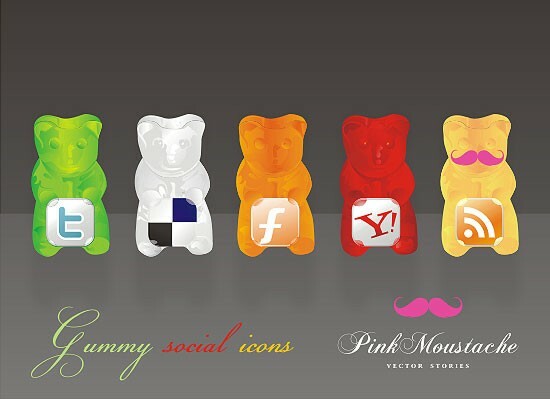 This is a the best collection of social media icons I’ve found so far. I’ll be using them in the sites I create. I really like the soda cans.. they’re pretty cool! 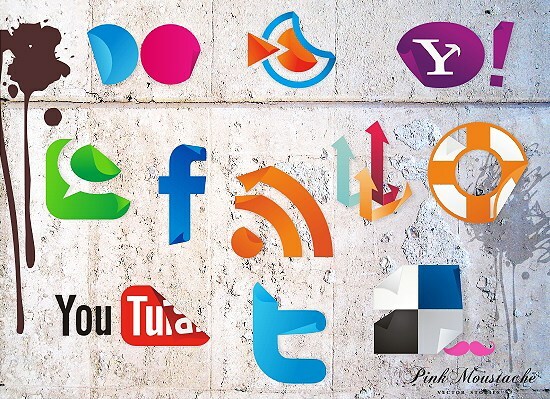 Great set of social media icons. Thanks for putting this together & sharing! Cheers! slide, jump, and turn through the blockades and courses that aree as difficult as they are addicting. The developmwnt of these applications needs less investment, but promises a gooid return on investment.